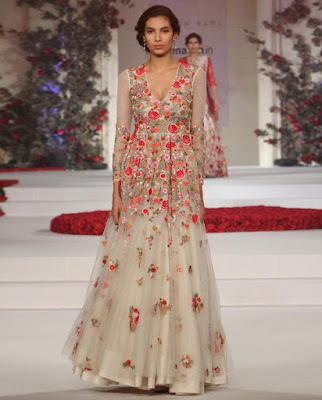 My love affair with floral trend asian outfits is still going strong, and so far this year, the collection which I'd love to own more than any other comes from Varun Bahl. It's the collection he showcased at last year's Amazon India Couture Week. Here are my favourite looks from the collection!